The genetic information of every cell is encoded in the sequence of the DNA double helix. Double strand breaks in the DNA, which can be induced by radiation, are a dangerous threat to the cells, and if not properly repaired can lead to cancer. Damaged cells need to decide whether the breaks can be fixed or whether they should be removed by a cellular suicide program called “apoptosis” before initiating cancer. 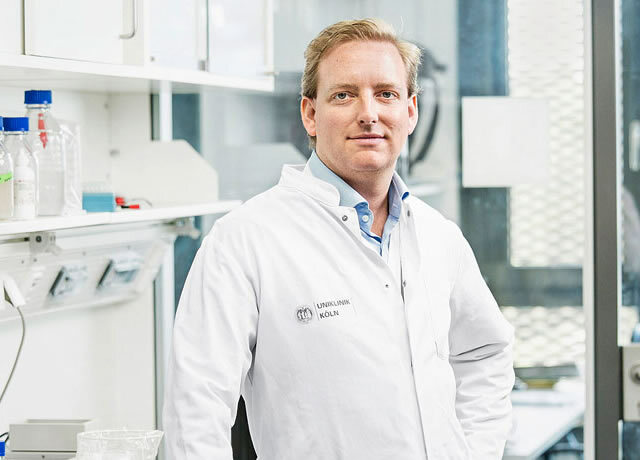 Björn Schumacher, one of the senior authors, explains: “Within seconds after an harmful incident, different mechanisms start. In a schizophrenic way, the cell starts repairing as well as preparing for apoptosis. We identified an uncharacterized mechanism that integrates signals from the ongoing repair process and the cell death machinery. A protein called UFD-2 forms large complexes at the breaks and verifies whether to proceed with the repair or whether it’s time to die.” In the process, UFD-2 is a point of intersection that both receives and gives signals. The original paper was published on September 26 in Nature Structural & Molecular Biology. Web Source: University of Cologne – Universität zu Köln.